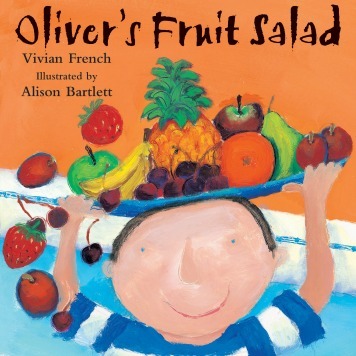 Super Kids Nutrition spoke with nationally recognized weight expert, Dr. David Ludwig, MD, PhD of the OWL Program, the largest pediatric obesity program in New England, about his book, Ending the Food Fight. 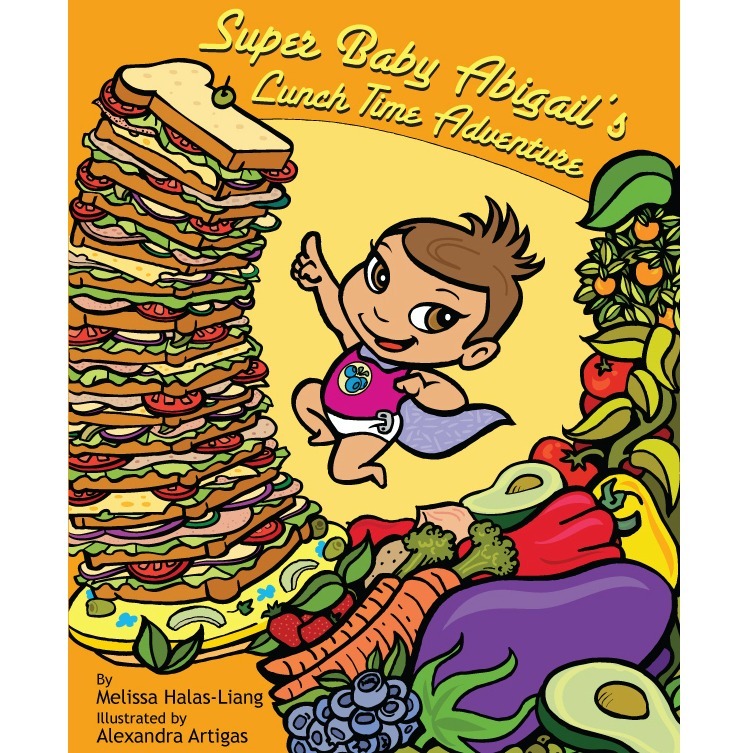 This is a great book for any parent who has an overweight child, or who simply wants to learn how to develop a home environment that encourages balanced and healthful eating. Filled with a number of real-life stories from Dr. Ludwig’s experiences over his 15 years running the Optimal Weight for Life program (OWL) at Children’s Hospital Boston, Ending the Food Fight provides a fresh perspective that reveals the problems that lead to child obesity, how to address eating challenges in the home, and how to maintain a healthy lifestyle as a family. Using sound research and presenting it in an approachable way, this book is both a how-to guide and encouragement manual, providing meal planning tips, recipes, and practical parenting information alongside inspiring anecdotes. The conversational tone of this book makes it an easy afternoon read, and the 9-week program included with the book provides a jump-start plan that would benefit any family. Many parents of overweight children may believe that being heavy simply runs in their families and that their child is programmed to carry excess weight. How would you respond to that? Since World War II, most people in America and Europe have had plenty to eat, but obesity rates didn’t start rising until the 1970’s in the United States, and the 1980s or ’90s in Europe. Just as there are biological forces that push body weight up, there are powerful forces that keep weight down. Just think about having a large Thanksgiving dinner: afterward, you didn’t want to even look at food for a while, and you probably ate less the next day. The bottom line is that the obesity epidemic is caused by our environment, not our genes. If we could return to the environmental conditions of the 1960s, the obesity epidemic would vanish. It may take some time to make the world a healthier place to live. But until then, we can create a protective environment around our children at home. A significant portion of your book is devoted to great recipes, shopping lists, and meal-planning tips for busy families. Would you share with us a favorite quick recipe and meal planning tip from the book? The single worst aspect of the SAD (Standard American Diet) is the extreme processing and refinement of food today. Fast food, prepared breakfast cereal, packaged snacks and thousands of other products are designed for convenience – to be prepared and eaten quickly. Unfortunately, they are also digested quickly, causing a surge and then crash in blood sugar. Soon after eating them, these “fake foods” cause us to get hungry again, leading to overeating and weight gain. To demonstrate this effect, we gave 12 overweight teenagers either instant oatmeal or slow-cooking (steel-cut) oatmeal for breakfast on separate days. On the day with the instant oatmeal, they ate a remarkable 700 calories more. Start your child’s day off right with a breakfast that will control hunger and sustain energy throughout the morning. Instead of the processed breakfast cereal, serve a vegetable omelet, a breakfast burrito or steel-cut oatmeal. With a bit of planning, most of these meals can be prepared without much extra time. Physical activity is a key topic that you discuss. What are some things that families should think about when encouraging physical activity in the home? Americans are remarkably sedentary. Many teenagers, especially girls, do virtually no physical activities apart from gym at school (and due to budget cuts, gym isn’t offered very often these days). Children, especially younger ones, are not well-suited for sustained vigorous exercise: their bodies aren’t built for it, and they lack the ability to concentrate on one activity for long. Encourage all sorts of physical activities in daily life: play (the most natural physical activity for children), sports, dance, walking, active chores, and so on. Don’t even mention the “e”-word. In your many years of experience, what common mistakes have you seen well-meaning parents make when trying to help an overweight child or teenager lose weight? One of the most common errors I see in practice is that parents raise young children too permissively, possibly in reaction to excessive strictness in their own upbringing. All too often, parents allow their kids to eat virtually anything they like, jumping up to make macaroni and cheese, for example, if the prepared meal is rejected. But if children do not learn what and how much to eat from their parents, our commercial culture–television, in particular–will happily fill the gap. The extremely unhealthful eating and activity habits taught by TV and other media become deeply ingrained over time, often causing a weight problem by adolescence. At this point, parents become alarmed and try to clamp down. But strict limit-setting at this developmental stage usually makes matters worse, resulting in an escalating power struggle. Coercive parenting practices (criticisms, punishment, nagging, pressure to eat certain foods, etc.) at any age may seem to work in the short term, but they can be very counterproductive. These practices take a toll on the parent-child relationship, they leave children feeling upset (and no one learns well when upset), and they actually keep children from accepting responsibility for their behavior. Research shows that when children are pressured to eat certain foods (e.g. vegetables), they develop a dislike for them, and ultimately eat less of those foods. What advice would you give to expecting parents or those with small children, regarding ways to prevent the “food fight” from entering their homes? And what can parents of older do, when conflict has become commonplace? Establish a parent-directed system that provides firm limits and guidance when the child is young. Then, over time, these limits are gradually released as the child matures, giving rise to a child-directed system that encourages self-sufficiency and responsibility. Protecting The Home Environment – Fill up the home with so much nutritious, delicious food, there’s no room left for junk food. If it doesn’t support health, don’t bring it into the home. Remember, you can say no once to your child when she’s asking for that carton of ice cream in the supermarket, or you can try to say no every night when she’s nagging you for it, if it’s sitting in the freezer. Modeling – This is the most basic of ways that children learn from their parents. The idea here is that if you do it, they’ll do it. But the opposite is also true, if you don’t do it, they won’t do it! When conflicts do occur, constructive parenting practices make a positive difference, such as praise, rewards (small, non-monetary), goal-setting, problem-solving, and self-monitoring. Ending the Food Fight highlights a number of inspiring stories of success among the families that you have worked with. What do you think these successful families have in common? From 15 years of practice, I’ve learned that the key to success is . . . there is no one key to success. Every child and every family is unique. The behavioral techniques that work well for one person may not be helpful for another. This is why we offer a range of methods to increase motivation and promote long-lasting behavior change (chapter 5). Most of all, I have learned the importance of being patient and gentle – with our children AND with ourselves. It can be difficult for anyone to change eating and activity habits in a culture that seems to undermine a healthful lifestyle at every step. If we try to force change upon our children to quickly, we may win a battle, but lose the war. Your book does a great job describing the “food fight” that occurs in the home, as well as in the community. Junk food sold at schools, lack of outdoor activity space, and food marketing commercials all create an uphill battle for our children. What can a busy parent do to help make a dent in these issues? Insisting that schools serve more nutritious foods and offer regular PE classes and after-school recreation opportunities. Lobbying local government for land-use policies that favor preservation of parks and creation of safe recreation areas. Campaigning for national regulations to protect children from manipulative junk food advertising. Fortunately, we now have powerful allies in this battle, such as First Lady Michelle Obama and the natural foods chef Jamie Oliver. Eat Now Method: Bring the water to a boil in a medium saucepan. Add the salt and slowly stir the oats into the boiling water. Return to a boil; immediately reduce the heat and simmer, stirring often, until thick and creamy, 20 to 30 minutes – a little less time for chewier oats, a little more time for creamier results. TIP: Steel cut oats takes about 30 minutes to cook. But cooking time in the morning can be reduced to 5 to 10 minutes, by soaking the oats overnight. Eat Anytime This Month Method: Cook the oats according to the above method. Divide the cooked oats among four 1-cup freezer-safe containers. Let them cool to room temperature before covering. Place in freezer. (The oats will keep, frozen, for up to 1 month). Note: The “puck” that forms when you freeze the oatmeal can be transferred to a large resealable plastic bag if you don’t want to tie up your freezer-safe containers. To serve, reheat the frozen oats, uncovered, in a microwave-safe container in the microwave for 2-3 minutes on high. If the oats are too thick for your taste, add a bit of water or milk and stir. Heat for another 1-2 minutes, or until hot. For more great book recommendations, check out our Recommended Reads. Love what I am reading from Dr. Ludwig. Fight with one of my grandchildren when he visits and do not want this memory of his GiGi. Everything in the above article is right on track with what I am observing in young, busy parents. I also work with whole food nutrition with families and schools and passionate about fighting an uphill battle. I will not be defeated. Look forward to following Dr. Baine and her tips for success.